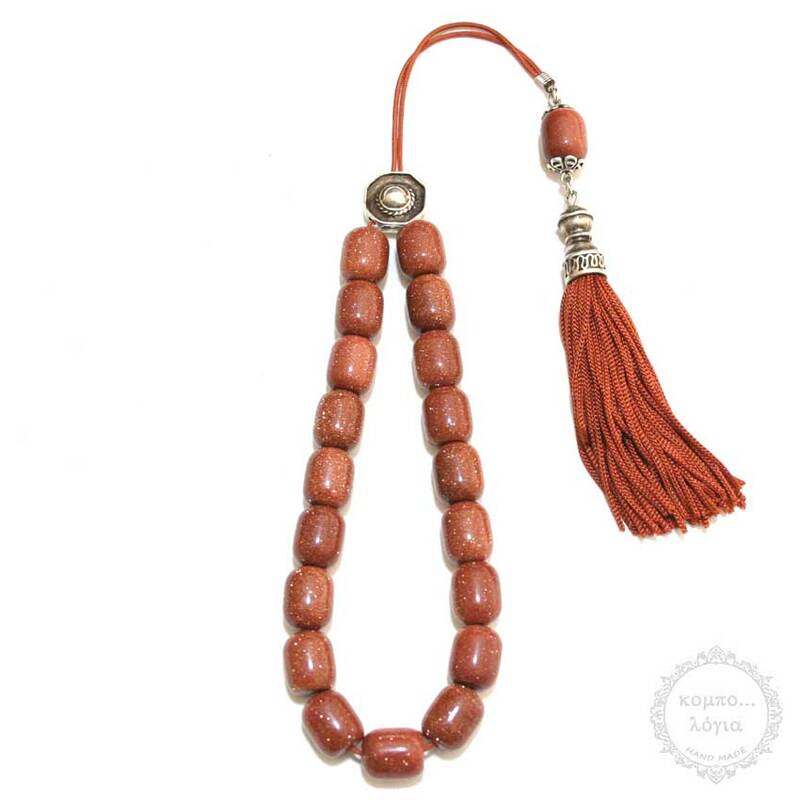 Goldstone handmade komboloi created with 19+1 natural Gemstone Goldstone in barrel shape beads of 12x15mm diameter with original tibetan silver metals, 37cm total length, 28cm + 9cm tassel, and 88g total weight. Goldstone is made from quartz sand glass, infused with copper particles to give it its shimmery appearance. The sparkles of Goldstone are symbolic of light that can always be found in the darkness. It deflects unwanted energies and is highly regarded in the spirit realm as a protective mineral. IGS (International Gem Society) Goldstone is essentially silicon dioxide (SiO2). Quartz sand is the primary source. By itself, glass is unimpressive with very little brilliance, color, or dispersion. Color is achieved by the addition of metals and minerals. Lead is frequently added to raise the refractive index and dispersion. It also makes the material less brittle, which is a feature of lead crystal glass wear.